9th Annual Conference on Climate Change. In the company mail today was the Preliminary Program for the 9th International Conference on Climate Change. 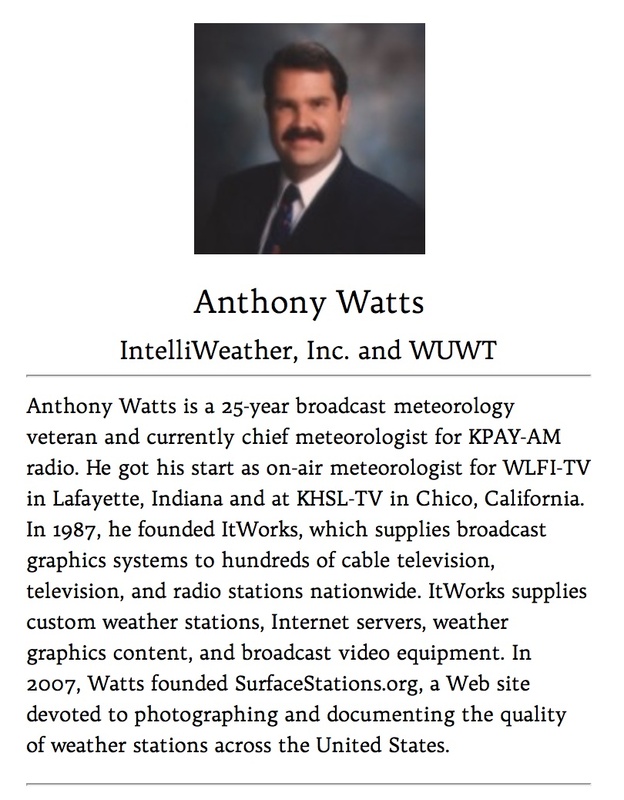 On page 14 of the program was my friend and fellow weather station researcher Anthony Watts. He will be one of the speakers this year in Las Vegas. He will be on a panel in How Reliable are Temperature Records with Steve Goddard, Real Science and Dr. Patrick Michaels, Cato Institute. Satellite instruments, ground-based thermometers and sea surface instruments provide varying and often contradictory temperature histories. They will be discussing the reliability of the various data sets. I am looking forward to a video of the presentation and discussion. The Conference will be held on July 7-9, 2014 at the Mandalay Bay Hotel and Casino. More details on the conference can be found HERE. This entry was posted in California, Climate, Climate Change, Weather. Bookmark the permalink.